Our Three-In-One Magnetic Games are a great gift idea for any business traveler or for families on the road. 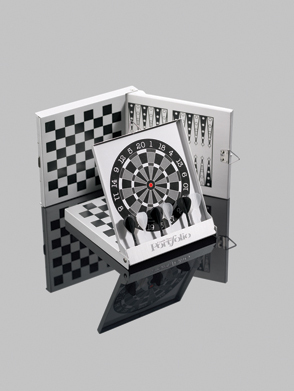 Each 3-in-1 Game comes packed in a silver gift box and can be custom printed with any logo or message you choose. These Magnetic Game measures 5" Wide x 5-9/16" Long x 9/16" High.